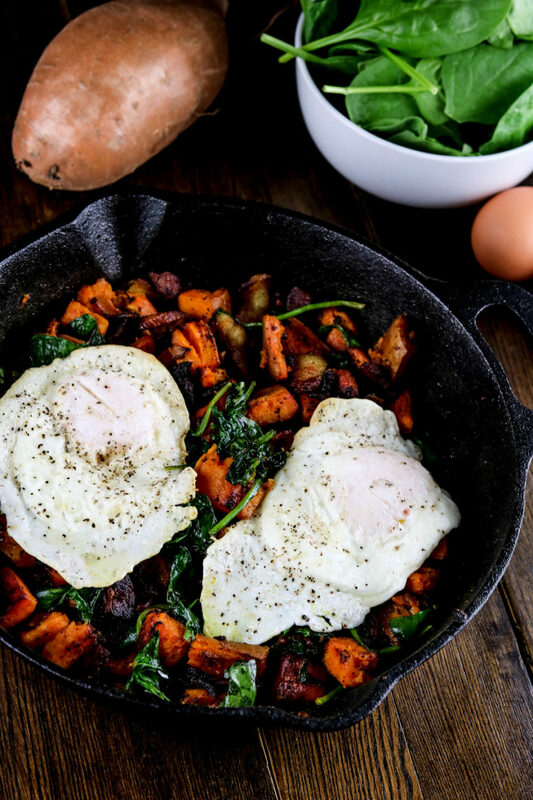 Savory + a hint of sweet wins again in this maple bacon sweet potato breakfast hash! I love a good breakfast hash. You can mix in so many different ingredients, they’re super simple to make, and you can feed an army or just one! You can also choose how you want to cook your eggs for the top; poached, fried, scrambled, you name it! I’ve yet to master a good poached egg, but have no fear I will figure it out! Meanwhile, I love my traditional over over easy fried eggs. The bacon combined with the pure maple syrup gives this such a good flavor. You could also cook this up ahead of time and eat throughout the week. 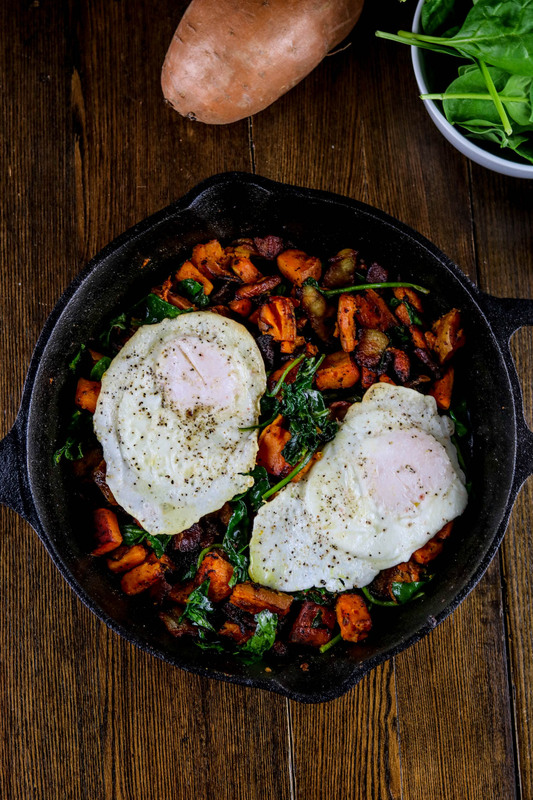 Just keep the hash refrigerated and then heat in a skillet when ready, topping with a fresh cooked egg each time. Like I mentioned, you can make these portions as big or as small as you’d like, that’s the beauty of a good breakfast hash. But let’s talk about that maple and bacon some more….so. dang. good! Peel and dice the sweet potato and add to a medium sized skillet (I used cast iron). Slice the bacon into small pieces and add to skillet. 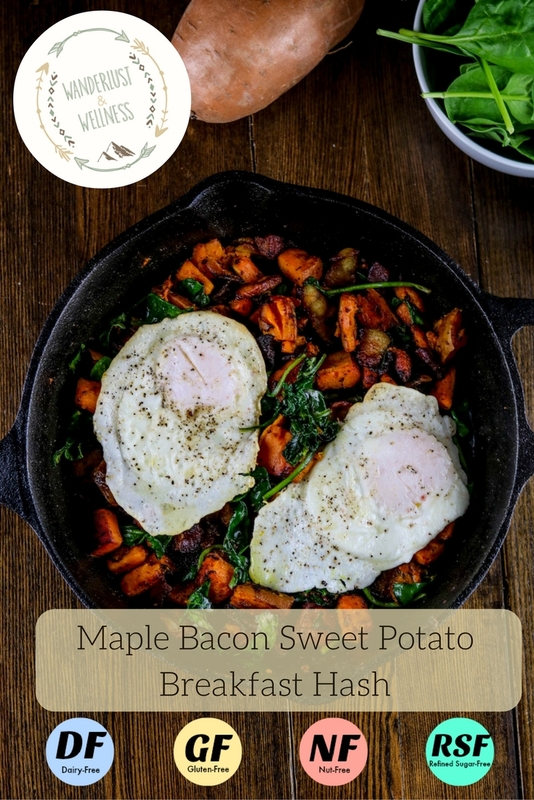 Cook until bacon is crispy and the sweet potato is soft and browned. Add in pepper, turmeric, and maple syrup and stir well. Add in the spinach and let cook down. 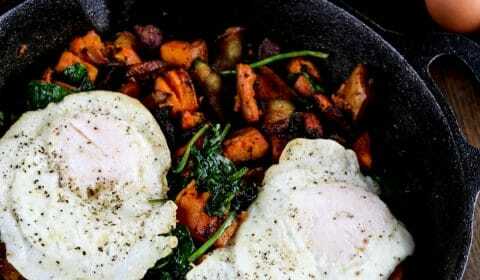 In a separate skillet, cook the 2 organic eggs to your liking. 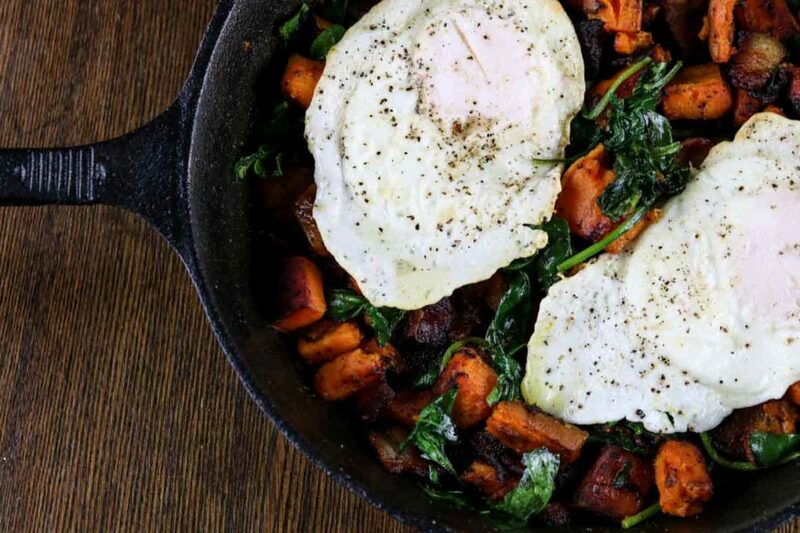 Top hash with eggs and serve.